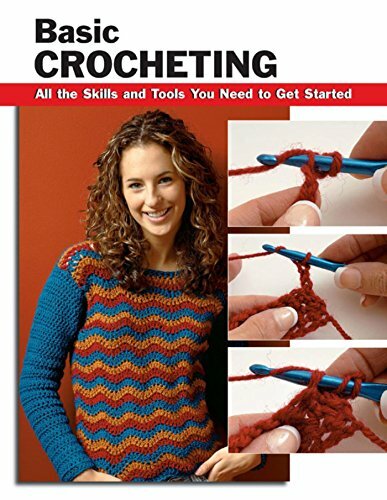 No matter if you might have by no means attempted Tunisian crochet ahead of, this booklet is for you. 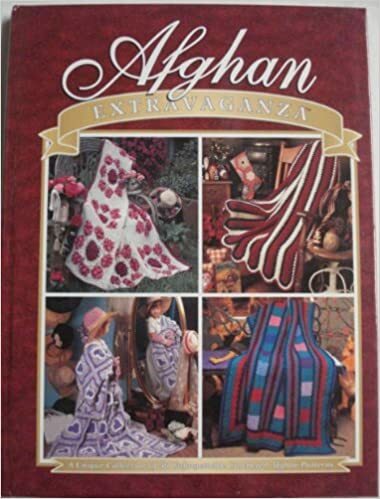 the elemental stitches of Tunisian are defined (Tunisian easy sew, Tunisian Knit sew, Tunisian opposite sew, and so on. ) 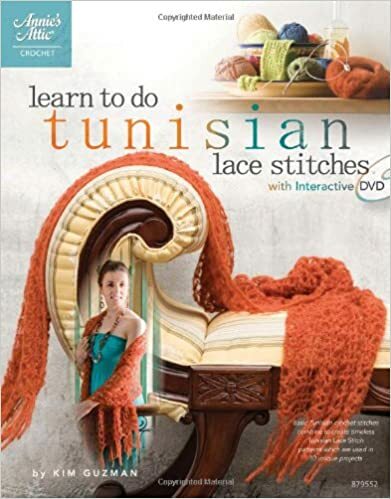 after which these simple stitches are mixed into Tunisian Lace stitches created specifically for this publication. Basic abilities and stitches, corresponding to the chain sew, slip sew, and unmarried, part double, and double crochet thoughts contain developing an fundamental fringe, crocheting within the around, and filet crocheting Create a shadowbox pillow, basketweave blanket, bunny basket, kid's cap and mittens, openwork placemats, woven shoulder bag, and extra A seriously illustrated advent to the abilities you want to develop into a crocheter, simple Crocheting starts with the yarn, hooks, and different instruments you must start, after which strikes directly to conceal the talents you want to make a large choice of domestic add-ons and wearables. 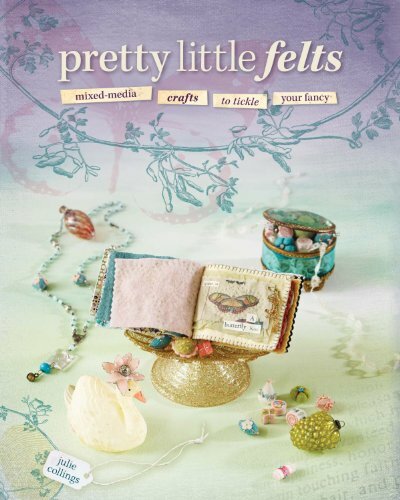 Lovely Little Felts encompasses a wide variety of lovely and useful initiatives from beneficial goods, like a colorfully adorned needle ebook and zippered pouch, to a couple of whimsical and playful choices, like tiny plants with crochet-edged petals and paper dolls. 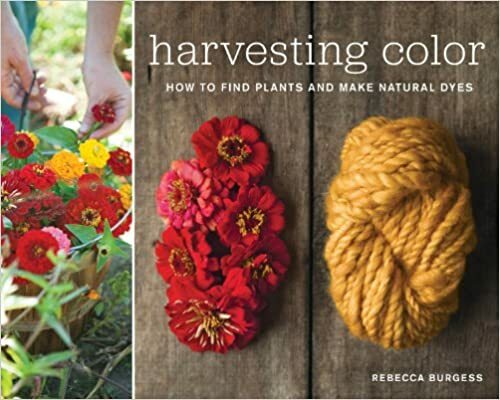 Easy-to-follow step by step directions accompany the 24 tasks, and crafters of all ability degrees will savour the great getting all started consultant and bonus gallery of 25 undertaking adaptations. 5. Sew the red solid 2%" x 27V2" border strips to the top and bottom of the pillow center. Press the seam allowances toward the strips. Sew the red solid 2%" x 14" border strips to the sides of the pillow center. Press the seam allowances toward the strips. Pillow assembly ~5 MAKE YOUR BED CLASSIC Boxed ~ham~ with Cording Finished Shams: 20" x 30" x 2" MATERIALS CUTTING (for two standard-size shams) 1;4 yard of red solid for front-side accent strip From the white solid, cut: 2 rectangles, 21" x 21 %" (A) 2 rectangles, 1211z" x 21" (B) 4 strips, 2%" x 21" 2 rectangles, 15%" x 21" (C) 2 rectangles, 9" x 21" (D) 4 strips, 3" x 31" 4 strips, 3" x 21" 11;4 yards of 58"-wide dark gray wool or wool-blend suiting fabric for cording From the red solid, cut: 2 strips, 3" x 21" 2 neckties* From the gray pinstriped suiting fabric, cut: 2 rectangles, 7%" x 21" Yardage is based on 42 "-wide fabric unless otherwise noted. 4. Refer to "Making the Quilt Sandwich" (page 7) to layer a lining square, batting square, and block; baste the layers together. Repeat to make a total of two basted blocks. Quilt the blocks to match the runner (page 53), if desired. 0 mm) hot-fix flat-back crystal rhinestones and applicator (optional) 20" x 20" pillow form ASSEMBLING AND FINISHING 1. Trim the quilted blocks to 21" x 21". CUTTING 2. To make the button band and buttonhole band, cut a 21" x 4" strip from the remainder of both the bottom wave fabrics. 3. Refer to "Making the Quilt Sandwich" (page 7) to layer the bed-runner top, batting, and backing; baste the layers together. Cut pieces for each set from the same fabric. From the assorted bright-colored fabrics, cut: 15 sets of2 rectangles, 2V2" x 6V2", and 2 squares, 2W' x 2W' (for 6" blocks) 139 sets of2 rectangles, IV2" x 3W', and 2 squares, IV2" x lW' (for 3" blocks) 40 squares, 3W' x 3W' From the white fabric, cut: 6 strips, IV2" x 42"; crosscut into 139 squares, lW' x lW' 1 strip, 2V2" x 42"; crosscut into 15 squares, 2V2" x 2Y2" 7 strips, 21,4" x 42" MAKING THE BLOCKS 1.